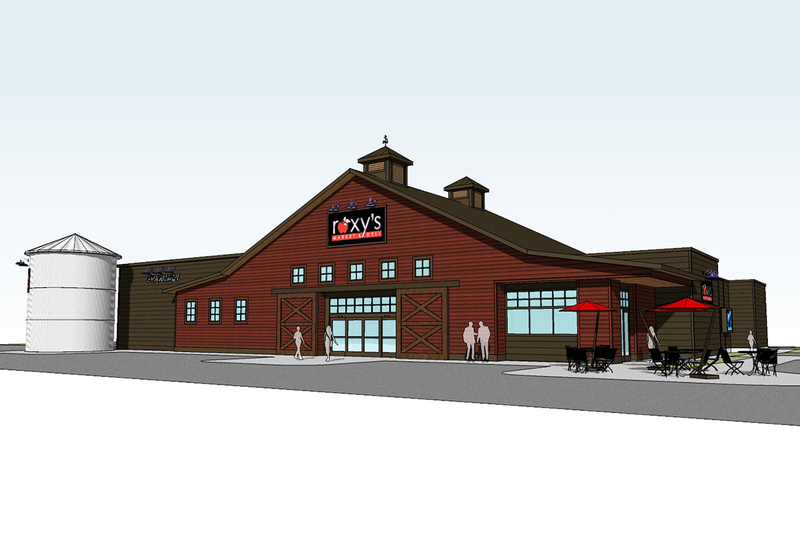 Roxy’s Market, located on Town Center’s east end, is Big Sky’s first full-service grocer. With previous experience providing grocery and high-end wine and cheese products in resort communities, Mike and Roxie Lawler initially envisioned a contemporary approach. However, an agrarian design soon replaced the contemporary. The Lawlers decided on a farm-like appearance, complete with feed bin structures and uniquely pastoral accents, to reinforce the concept of fresh, local food in a rural community.